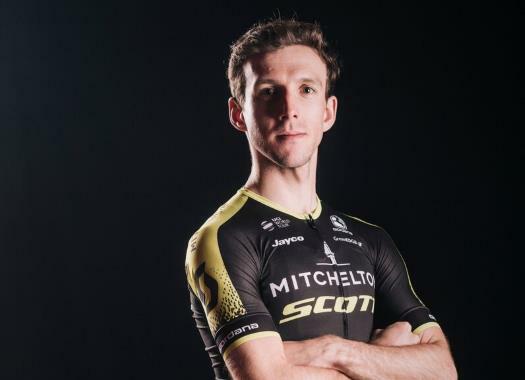 Simon Yates (Mitchelton-Scott) has won the ninth stage of the Giro d'Italia. Favourites like Chris Froome and Fabio Aru lost more than one minute at the day's summit finale. The ninth stage of the Italian race featured the third summit finish so far and was 225 kilometres long between Pesco Sannita and Gran Sasso d'Italia. The breakaway of the day included riders like Mikael Cherel (AG2R La Mondiale), Manuele Boaro, Giovanni Visconti(Bahrain-Merida), Tim Wellens (Lotto-FixAll) and Hugh Carthy (EF Education First). This front group created a gap of more than eight minutes with the bunch but it reduced as the last climbs approached. The last ascent of the day proved too hard for the escapees, who dropped with the kilometres, the first victims being Wellens and Davide Ballerini (Androni-Giocatolli). On the penultimate descent of the day, Androni-Giocattoli's Fausto Masnada attacked from the front group and created a considerable gap with the rest. Soon after Boaro also tried his luck and left the rest behind when they were all ready to face the last climb of the day. With five kilometres to go, Carthy caught Boaro and then overtook him to go on to chase Masnada but he was unsuccessful and was soon reeled back in by the pack. The last part of the climb was too hard for Masnada, who was caught by the favourites group with three kilometres to go. This last part also caused a break in the favourites group and riders like Fabio Aru (UAE Team Emirates) and Alexandre Geniez (AG2R La Mondiale) found themselves on the wrong side of the split. Just one kilometre later, Sky's Chris Froome was also dropped from the pack while in front Thibaut Pinot (Groupama-FDJ) changed the pace. In the last meters, Domenico Pozzovivo (Bahrain-Merida) attacked and was followed by riders like Pinot, Simon Yates and Esteban Chaves (Mitchelton-Scott). At the last moment, Yates accelerated and took the victory of the stage, followed by Pinot and Chaves. Froome and Aru arrived at the finish line at more than one minute from the stage winner and GC leader, Yates.